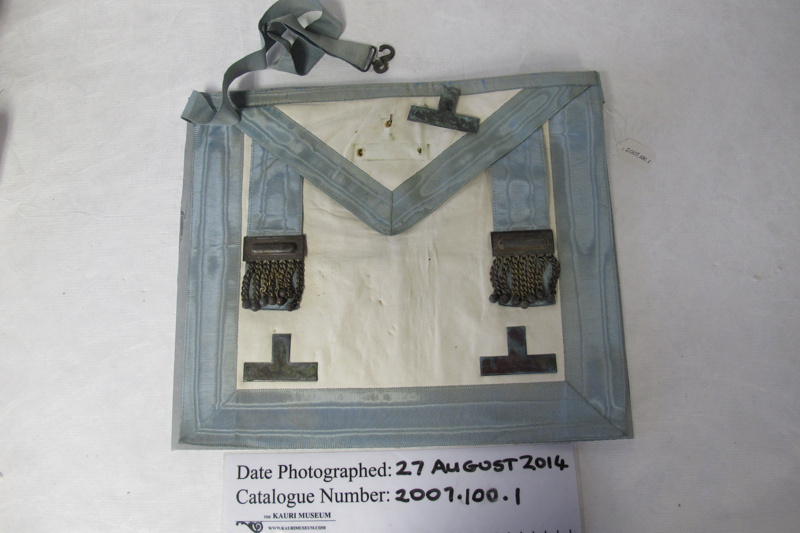 Freemason Craft Past Masters Apron: cream lambskin edged in duck-egg blue watermark ribbon around main apron and triangular over-flap. sterling stamped working tools emblems below silver tassle bars and on over-flap. duck-egg blue woven belt with snake clasp.